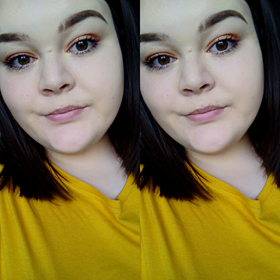 After finding some old pictures of myself i noticed how much my make up routine has changed over the years, and when i first started getting into make up and taking care of myself i didn't really know what i was doing. So here's 10 tips for my teenage self. 1. Don't shave your eyebrows. pluck, and pluck from the bottom. 3. Don't pick your spots. 5. Foundation should match your skin not make you look orange. 6. Find a face scrub that is good for your skin and stick with it. 8. Don't use to much blush, its meant to highlight your cheeks not over take them. 9. When tanning, have your legs first, not after. 10. Confidence is the best thing you can wear.